Heat Olive oil in a non-stick pan or wok over medium high heat. Add chicken, stir until mixed with oil. Add onions. Garlic, Broccoli & Mushrooms. 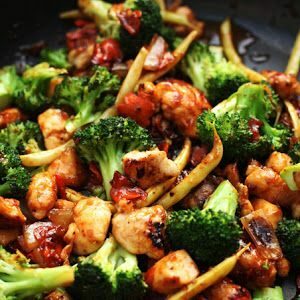 Reduce heat to medium & continue to stir fry until vegetables are just tender.